There is no doubt that as a business owner you want as much attention and exposure as possible. While there are many avenues to explore, some can be quite costly. However, PPC, or pay per click advertising is an effective way to generate new visitors to your site and turn them into loyal customers. There are several options when it comes to PPC ads. 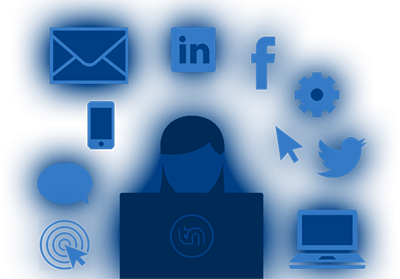 Some of the most popular platforms include MSN, Yahoo!, and Google, however utilizing a combination of these sources will provide optimum results. Each time someone searches for a certain keyword your ad will be displayed, encouraging more clicks, more traffic, and more conversions. Pay per click advertising offers immediate, as well as long-term benefits. Knowing what to expect immediately may help you understand the value in this method of reaching new customers. 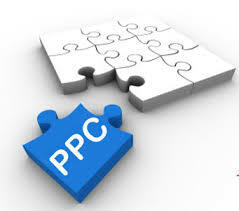 First of all, the process to setup PPC advertisements is quick, much quicker than traditional methods of advertising. Also, unlike the popular SEO methods (which are valuable in themselves) the results you receive from PPC advertisements are noticed immediately. You will see an increase in traffic the same day, which allows you to tweak, change, or modify the campaign in order to optimized results. Did you know that Google estimates that approximately 90 million Internet searches are conducted through their server alone on a daily basis? Each time a search is performed, this is a potential customer for you to grab. PPC advertisements are the perfect way to ensure your business is visible and available when a search is conducted. One of the most appealing aspects of a PPC marketing campaign is the fact that you only have to pay for the placement of the ad when a customer actually clicks it. You are not simply paying for brand awareness, instead you are paying for real live people who are interested in what you are offering on your advert. You can find services that offer a price of ten cents per click, however if it creates a new customer this ten cent investment has really paid off. Although the cost is minimal for using PPC advertisements, most businesses still have a budget to maintain. As a result, you can use convenient budgeting features that allow you to establish how much you want to spend each day. However, if you hit this limit, you may miss out on customers, so you should consider carefully if this is a good idea. Since your ad is displayed when certain keywords are entered, you are only reaching those people who are truly interested in what you are offering. You can always change your keywords later to include other niches, however this gives you control of who will view the advertisement you have created. This also provides a better chance to turn a PPC click into a new customer. PPC advertisements are a perfect option for both small and big businesses that are trying to increase their visibility. Additionally, you can use this method without blowing your budget.